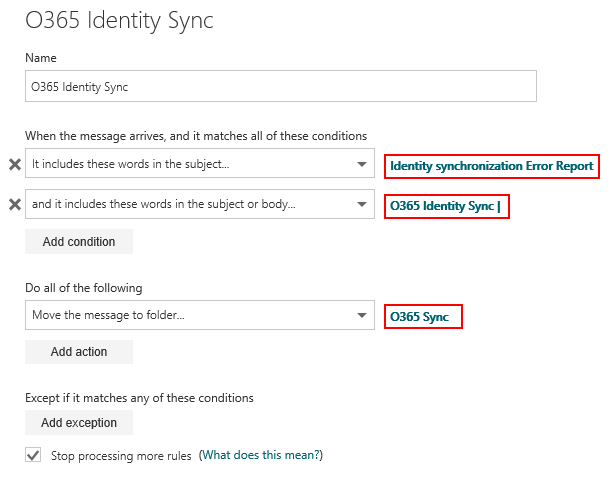 In terms of Office 365, when trying keep your eye on AAD Connect synchronisation, new Service Health notices, new O365 Endpoints, new Message Center updates and the rest, it can all become a little bit taxing and hard to juggle. 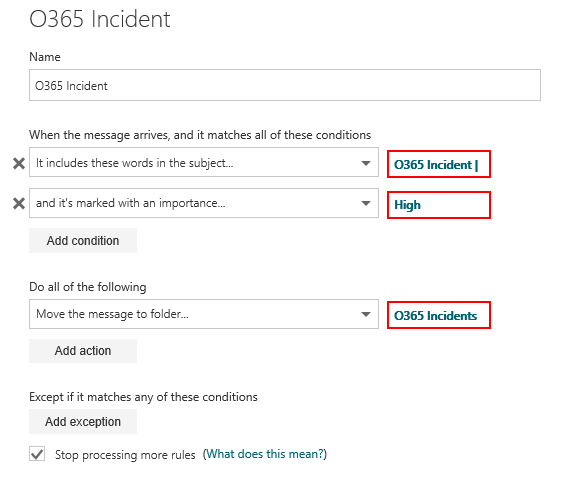 When a new Service Health alert reporting Service Degradation of an O365 feature appears in the Service Health Dashboard we're not always sitting watching the dashboard waiting to act. 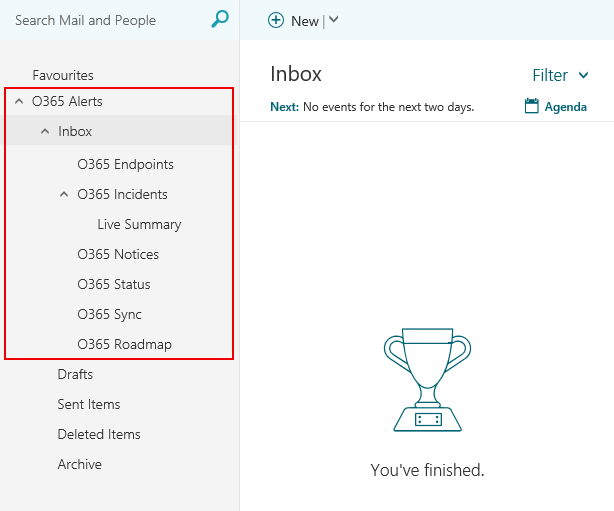 Wouldn't an alert system that drops right into your Outlook be just what you are looking for? Then there is those who used to use the Office 365 Endpoints RSS Feed and acted as and when the feed reported new endpoints. Unfortunately, the RSS Feed was deprecated back in October 2018 and there was no obvious alternative that didn't involve calling the web service. Well yes, in most cases unless you fancy doing something more intuitive with data such as importing it into a power BI dashboard, then most service desks benefit from having a shared mailbox gather a bunch of email alerts so that the whole team gains some visibility and all in the one place. This collection of 8 blog posts are going to cover just that. Within the scope of this post I am not going to explain how to create a shared mailbox, I will assume that you will know how to do that or may have one set up already. I will however take you through some preparation work that will be carried out on the shared mailbox. The prep' revolves around creating some forwarding rules in order to file each alert to it's correct sub-folder. Firstly, Create your nested folders within your inbox to match the image above. Then on to creating your inbox rules. These are pretty self explanatory so I will show you 2 of mine and will go into more detail when creating the Flow for each sub-folder. So now that's all the preparation or ground work complete, we shall move on to part 2.